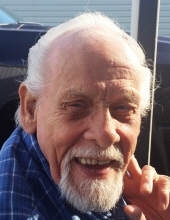 Thomas Robert Cahill, known to many as “Bob”, died peacefully January 30, 2019. He was 78 years old. Bob was born February 5, 1940, in Little Washington, Pennsylvania to Ella Rena and Thomas Cage, the eighth of eleven children. Bob was a professional auto mechanic and lifelong car enthusiast. He also enjoyed bowling, cards, and playing pool. A man of great integrity, he was always protective of his family. He loved spending time with his children and grandchildren, being silly and making them laugh. He had a heart of gold and was always willing to help those in need. He was deeply loved and will be sorely missed by all. He is survived by his siblings, Marlene Bamberger, Ken (Joan) Cahill, Jackie Fisher, and Joyce Young, his niece Gaylene Dabell, and many other dear nieces and nephews. He is also survived by his grandchildren, Heather Culbertson, Stefanie Dawn (Paul) Eagleton, Jeremy (Alexa) Powell, and Stephanie, Robert, and Dara Cahill, his great-grandchildren, Desiree Fernandez, Chyna Eagleton, Lily Eagleton, Cynthia Culbertson, Ava Eagleton, Alice Powell, Elliott Powell, and great-great-granddaughter, Harmony Meade. Bob was preceded in death by his loving wife, Gwen Cahill, and his children, Robert Cahill, Cynthia Cahill, Loren Smart, and Renee Judith Powell. He was also preceded in death by his siblings, Jane Amos, Patty Kanouse, Chuck Cahill, Jerri Hoff, Eddie Cahill, and Rena Surrett. A Funeral Service will take place at Lynch & Sons Funeral Home, 1368 N. Crooks Road (between 14-15 Mile Roads), Monday, February 4, at 12 Noon. Friends may visit beginning at 11am. "Email Address" would like to share the life celebration of Thomas Robert Cahill. Click on the "link" to go to share a favorite memory or leave a condolence message for the family.